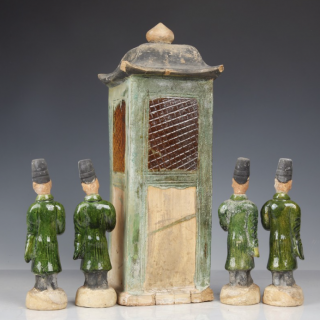 A set of Chinese Ming Dynasty earthenware attendants, together with a green glazed palanquin and seated figure. 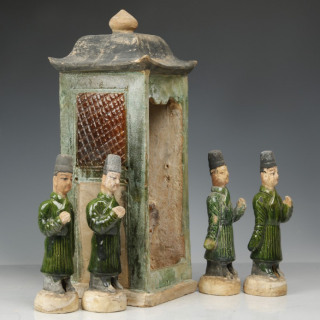 Each male attendant is styled in a long robe, coloured a vivid green glaze. 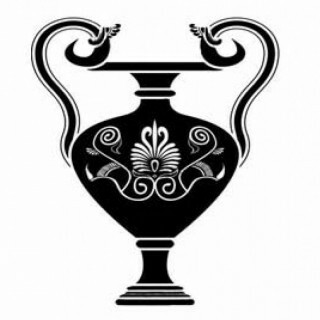 Within the palanquin is a seated figure, representing the deceased. 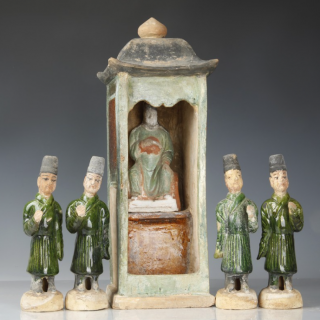 He too is dressed in a green glazed robe, with additional detailing in a brown glaze. The attendants accompany him on his journey through the afterlife, announcing his presence. The palanquin is also coloured in a dark green glaze, with dark yellow accents and a black roof. N.B. Price is for the set. Very good, with bright vivid glaze and additional cold-painted detailing still remaining. Some loss of glaze over time.